There are nearly 150 overnight accommodation options to choose from in the Napa Valley, including hotels, resorts, country inns, and bed and breakfasts. Whether your preference is modern, historical, “in-town” close to restaurants and shops, a luxurious spa getaway, or the calm of a remote vineyard setting, the Napa Valley caters to every visitor’s needs. Guests visiting during Cabernet Season (November through April) enjoy cooler weather, as well as special rates and packages that are offered at a variety of hotels and restaurants. Additionally, after the fall harvest visitors are more likely to meet the winemakers and spend more time enjoying the complete wine tasting experience at Napa Valley wineries. If visiting during harvest season in the autumn months (August through October), be sure to book accommodations well in advance and consider a midweek visit, when the hotels have more availability. 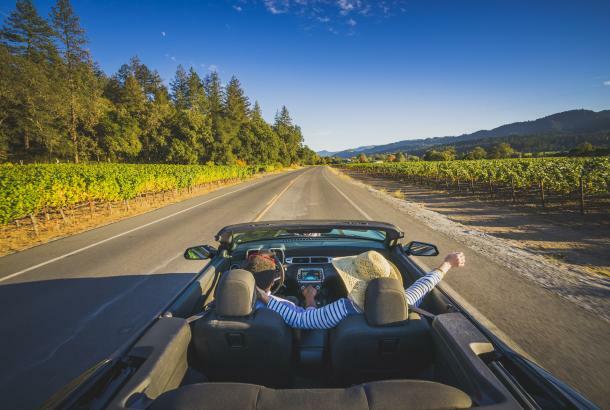 This guide showcases the diverse range of accommodation choices in the various towns of Napa Valley, beginning with American Canyon in the south, which is closest to San Francisco airport (SFO) and ideal for the nature enthusiast. In the city of Napa, guests will find tasting rooms and a nightlife scene walkable from surrounding hotels, inns, and bed and breakfasts. For an epicurean escape, visit Yountville, which is renowned for its world-class restaurants and award-winning chefs. Continuing up north, Oakville and Rutherford are best known for their famed Cabernet Sauvignon. St. Helena, located in the heart of the Napa Valley, features boutiques, antiques, and art galleries. 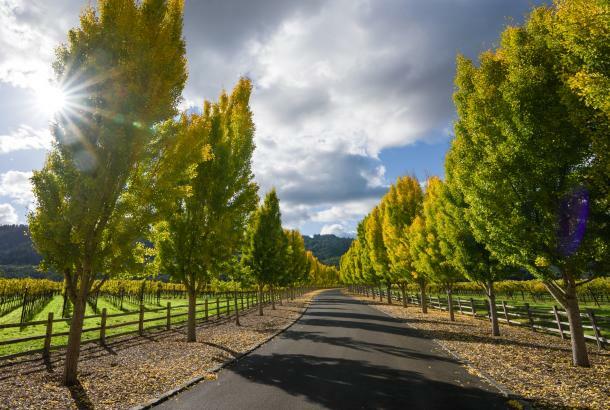 At the Valley’s most northern point, Calistoga offers the rustic charm of a 19th century western town, and is an ideal spa retreat known for its underground geothermal springs. 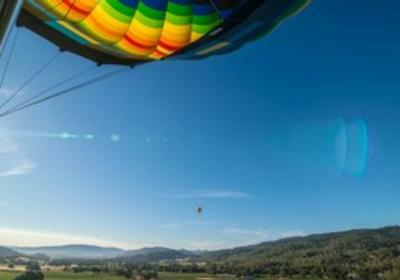 Dubbed “Where your Napa Valley experience begins,” the area’s rolling hills invite active visitors to find adventures on foot and by bicycle. Explore Lynch Canyon’s 10 miles of trails where the 900-foot ridges offer panoramic views extending from the San Francisco Bay to the Sierra Nevada. Wetlands along the Napa River Bay Trail are ideal for birdwatchers. The region is home to a wide range of bird species, including raptors, pelicans, and sandpipers. Double Tree by Hilton Hotel & Spa: This environmentally friendly property, LEED gold-certified hotel is located nine miles south of the city of Napa and easily accessible via Highway 29 (a main artery in Napa Valley). Rates range from $109 - $289USD per night. Fairfield Inn & Suites: Prime for leisure or business travelers, this property is located at the entrance to the Napa Valley and only minutes from a handful of wineries, such as Acacia Vineyard and Jamieson Ranch Vineyards. Rates range from $119 -$259USD per night. Holiday Inn Express and Suites: With easy access to Highway 29, the hotel is conveniently located to Chardonnay Golf Club and Eagle Vines Golf Club. Rates range from $129 - $299USD per night. Considered the valley’s commercial center, the city of Napa has been reborn in recent years, especially along the riverfront. New offerings include the 1879 opera house that has been freshly converted to City Winery Napa, which offers a restaurant, bar, and live performances upstairs in the former opera house. Another favorite is Oxbow Public Market, which features artisanal foods and local wine. The Napa Valley Wine Train (a three-hour leisure ride in vintage cars to St. Helena and back) also begins here. 1801 First Luxury Inn: Conveniently located near downtown Napa, the eight guest suites and cottages offer modern amenities in a beautifully restored Victorian manor. Rates range from $295 - $425USD per night. ANDAZ Napa: This ultra hip boutique hotel features regionally inspired design elements, including a wall-length map of Napa Valley. Located in central downtown Napa, the hotel features a restaurant, bar and outdoor terrace. Rates range from $209 – 700USD per night. Beazley House: Located in central Napa, the Beazley House is Napa’s first bed and breakfast. The shingle-style, colonial revival mansion was built in 1902 and features six guest rooms, each with a private bath, as well as five additional rooms in the carriage house. Rates range from $130 - $340USD per night. The Carneros Inn: Nestled on 27 acres of vineyards, farmland and apple orchards, the individual accommodations, or cottages, are organized in mini neighborhoods and feature fireplaces with French doors leading to landscaped private gardens. The property also features three restaurants, a full spa and two swimming pools. Rates range from $395 - $2,500USD per night. Inn on Randolph: This elegantly restored bed and breakfast is housed in an 1860’s Victorian home and features adjacent cottages. The accommodations, which maintain an historic feel, are decorated with contemporary furnishings. Rates range from $245 - $425USD per night. The Meritage Resort & Spa: With its Tuscan-inspired décor, the resort is home to Napa’s only spa in a wine cave, developed entirely underground. The resort also features a six-lane bowling ally and the Trinitas Cellars tasting room. Rates range from $159- $899USD per night. Napa River Inn: A National Trust Historic Hotel of America, this quintessential Inn is conveniently located at the end of Main Street in downtown Napa. The building, which dates back to 1884, anchors the historic Napa Mill, which features shops, restaurants and a venue for live entertainment. Rates range from $219 - $599USD per night. River Terrace Inn: Set in the heart of the Napa Valley Wine Country, this tranquil retreat is one of the few hotels nestled along the River Trail and borders the Oxbow Park Reserve. Rates range from $149 - $469USD per night. 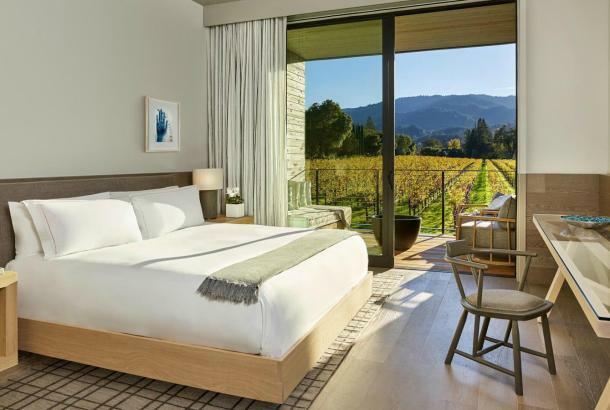 SENZA Hotel: Located alongside a valley vineyard, this luxury boutique hotel is the newest hotel to crop up in Napa and is managed by HALL Wine owners, Craig and Kathryn Hall. Rates range from $199 - $650USD per night. Silverado Resort and Spa: This resort and spa includes access to two 18-hole PGA championship golf courses, 13 tennis courts, 10 swimming pools and a full service spa. Rates range from $129 - $559USD per night. The Westin Verasa Napa: Located on the Napa riverbank and within walking distance to more than 15 restaurants in downtown Napa, this hotel is also home to the Michelin-starred La Toque restaurant. Rates range from $299 - $999USD per night. 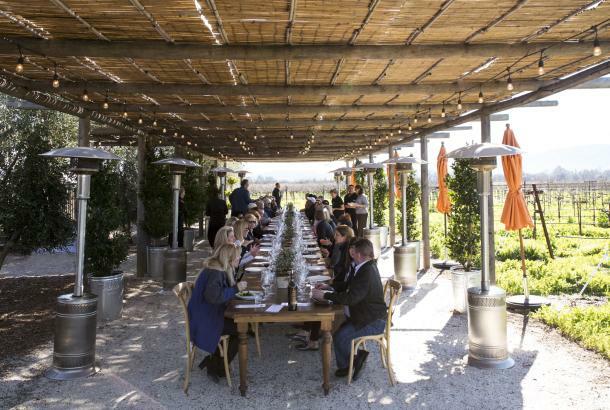 Known as the “culinary capital of the Napa Valley,” the tiny rural village of Yountville boasts more Michelin stars per capita than any other place in the U.S. The toques of the town include Michael Chiarello of Bottega Napa Valley, a favorite location for al fresco dining and terrace cocktails or wine after dark, and Thomas Keller of The French Laundry, which has three Michelin stars and Bouchon, with one Michelin star. Bardessono: California’s first and only LEED Platinum-certified modern retreat is built almost exclusively from salvaged stone and reclaimed wood. The hotel features a spa, outdoor swimming pool and Lucy Restaurant and Bar. Rates range from $500 - $1050USD per night. Hotel Yountville: Located at the south end of Yountville’s Washington Street, also known as restaurant row, the resort features a 4,000 square foot spa and is just three miles from the Silverado Trail. Rates range from $375 - $1275USD per night. North Block Hotel: Set among a courtyard filled with lemon trees, and home to Richard Reddington’s on-site upscale pizzeria, Redd Wood, this hotel is just steps away from wine tasting rooms, restaurants and shopping. Rates range from $295 - $650USD per night. Villagio Inn and Spa: The Mediterranean-style resort features accommodations scattered among Italian gardens with olive trees, cobblestone courtyards, and fountains. The 13,000 square-foot Spa Villagio is the resort’s crown jewel. Rates range from $330 - $700USD per night. Vintage Inn: Offering a French country chateau-like feel, the property features a 13,500-square-foot spa with private outdoor lounges with soaking tubs and fireplaces. Rates range from $330 - $700USD per night. While once a mere water stop on a steam train line between Napa and Calistoga, Oakville, with a population of just 71 (based on 2010 census), is now a legendary wine-growing region. Oakville is home to Robert Mondavi Winery, as well as Harlan, Screaming Eagle and Opus One, founded on a partnership between winemaking royalty Baron Phillip de Rothchild and Robert Mondavi. The iconic Oakville Grocery is a favorite stop for visitors wishing to fuel up on artisan cheese, bread and made-to-order sandwiches. Rutherford, also known as the heart of Napa Cabernet, is home to wineries such as Beaulieu Vineyards, which has set the standard for crafting California wines for more than 100 years, as well as St. Supéry Estate Vineyards & Winery, Alpha Omega Winery, and Inglenook, which is one of the valley’s founding Cabernet houses and is now owned by Francis Ford Coppola. Auberge du Soleil: Located at the top of a hill off the Silverado Trail, the sandstone-colored villas are scattered among 33 acres of olive groves and offer some of the best views in the Valley. In addition to a swimming pool, tennis and a full service spa, the resort’s restaurant, the Restaurant at Auberge du Soleil, features a Michelin star. Rates range from $675 - $5225USD per night. St. Helena features a lovely and charming “Main Street” that is part of Highway 29 with dining, galleries, and shopping. Many historic aspects of the town have remained intact including the original vintage movie theatre, the Cameo. In addition, St. Helena is home to The Culinary Institute of America at Greystone (CIA) and many top in-town restaurants including Harvest Table by Charlie Palmer, Tra Vigne, Terra (a one Michelin-star restaurant), Press (which features the largest Napa Valley wine list in the valley) and Gotts Roadside, the retro spot for burgers. 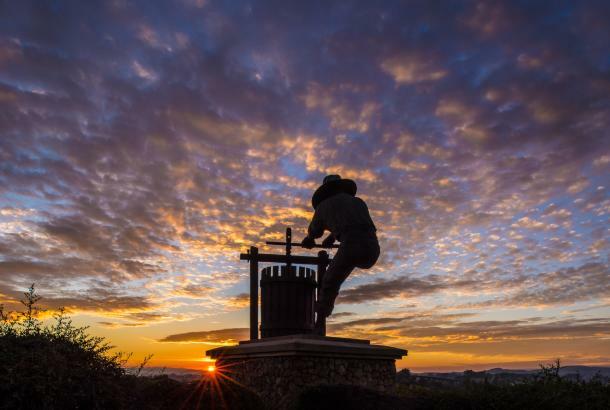 Harvest Inn by Charlie Palmer: Chef Charlie Palmer recently purchased the Harvest Inn, which is surrounded by vineyards and features a yearly rotating sculpture garden. The collection currently consists of 24 pieces featuring a mix of both modern and contemporary sculptures. Rates range from $299 - $799USD per night. Meadowood Napa Valley: The 250-acre resort features guestrooms set in cozy cottages, surrounded by tennis courts, golf fairways, croquet lawns, hiking trails, a swimming pool and luxury spa. 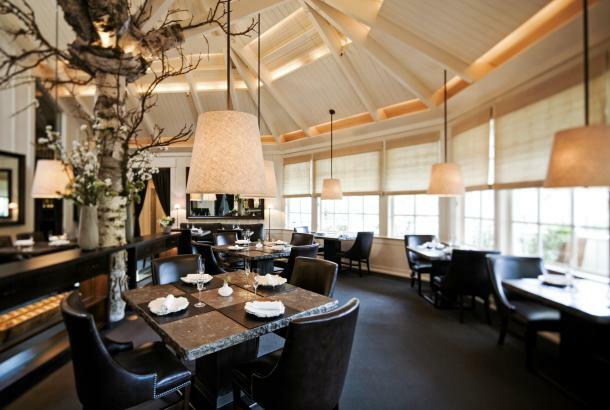 The Restaurant at Meadowood is one of Napa Valley’s two Michelin three star restaurants. Rates range from $625 - $5,775USD per night. Southbridge Napa Valley: The boutique hotel features vaulted ceilings, fireplaces, and Juliette balconies. The property is located next to Merryvale Winery, the first Napa Valley vineyard to be opened after the repeal of Prohibition. Rates range from $255 - $855USD per night. Since the 1870’s, Calistoga has been the home of hot springs and mud baths, as well as well as more than 15 day spas. Additional attractions include a central main street, Lincoln Avenue; a petrified forest four miles from town, the Old Faithful Geyser; and Castello di Amorosa, a winery within a replica of a Tuscan castle. Calistoga Ranch: This private vineyard retreat is an Auberge Resort located in a secluded canyon with 157 acres of hiking trails and its own private lake. Individual guest lodges feature floor-to-ceiling glass and outdoor living rooms with fireplaces to provide an outdoor living experience. Rates range from $675 - $4,600USD per night. Chanric Inn: This contemporary luxury inn offers guests a resort setting, including swimming pool, just minutes from downtown Calistoga. Rates range from $319 - $659USD per night. Chateau de Vie: Built with European charm, the chateau is just minutes from downtown Calistoga and is surrounded by two acres of Bordeaux vineyards. Rates range from $299 - $429USD per night. Indian Springs Resort and Spa: This historic resort and spa was recently expanded to add additional cottages and bungalows. The property features a geyser-heated pool, mud baths and Calistoga’s newest restaurant, Sam’s Social Club. Rates range from $199 - $999USD per night. Mount View Hotel & Spa: Situated in the heart of downtown Calistoga, the individually decorated rooms evoke a feeling of old Hollywood charm. The National Historic landmark hotel offers a full service spa and swimming pool. Rates range from $169 - $499USD per night. Solage Calistoga: Situated on 22 acres at the east end of Calistoga, the resort offers studios with outdoor patios and cruiser bicycles for exploring downtown Calistoga. The property also features a 20,000 square foot spa and Michelin Star-rated restaurant. Rates range from $400 - $1095USD per night.